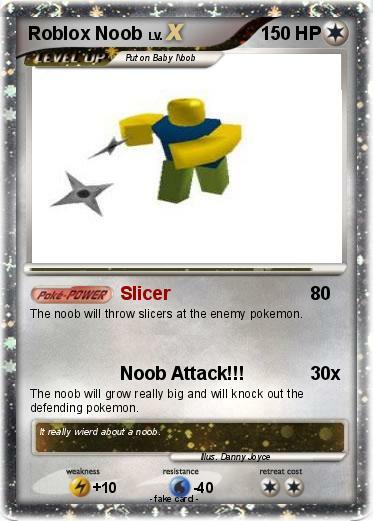 The noob will throw slicers at the enemy pokemon. Attack 2 : Noob Attack!!! The noob will grow really big and will knock out the defending pokemon. Comments : It really wierd about a noob.